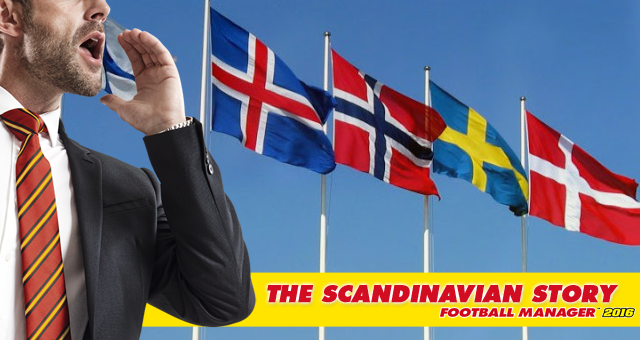 Welcome to my first ever Football Manager story: The Scandinavian Adventure! 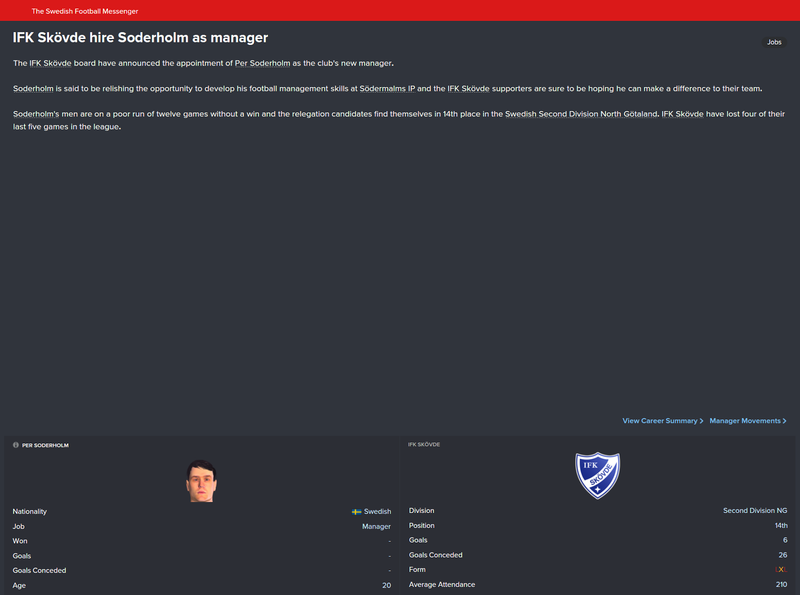 I will be entering the game as Per Soderholm, an unknown and unemployed Swedish manager. My task is monumental: achieve a 1st place finish in every Scandinavian country's first division. Sweden. Denmark. Norway. Iceland. Finland. I hope you will stick around with me on my journey to Nordic success! Here we are. 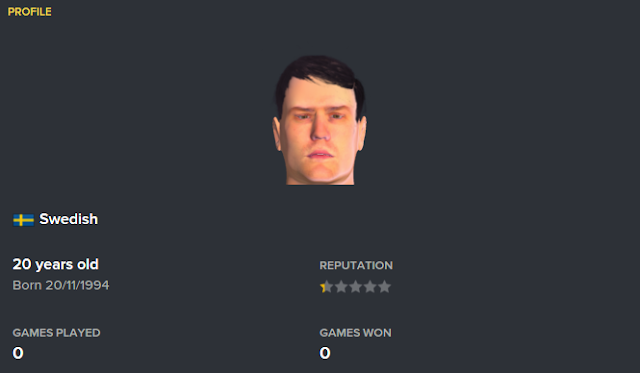 A young Swedish man with the hopes of achieving success as a manager across the 5 largest Scandinavian nations. 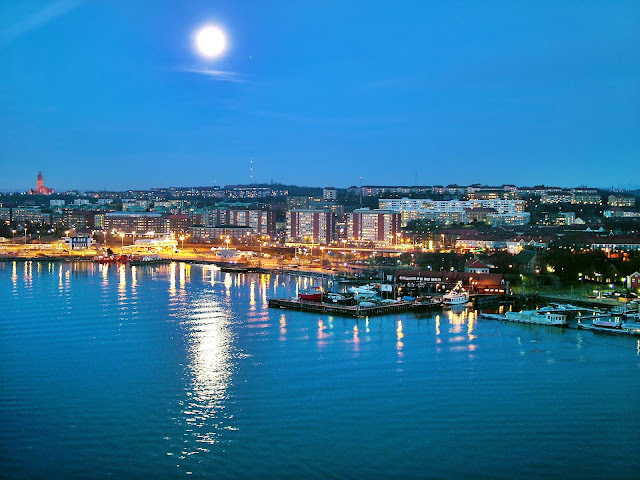 Per is from Gothenburg (Göteborg), the second largest city in Sweden. As a young boy, he played for IFK Göteborg in their youth ranks but didn't have the physical attributes nor technical prowess to cut it at the next level. One thing the Göteborg youth staff noted about Per Söderholm was his great knowledge of the game. 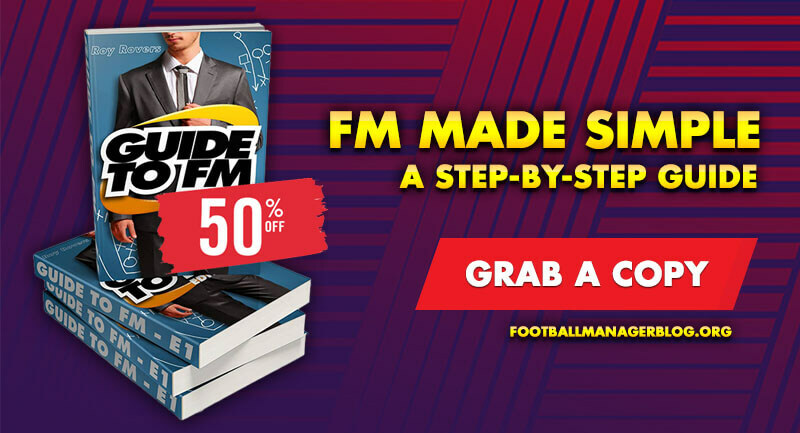 Per knew right when his youth contract expired with the club that he wanted to be a manager. Per's home city: Gothenburg. Not a bad place to grow up! 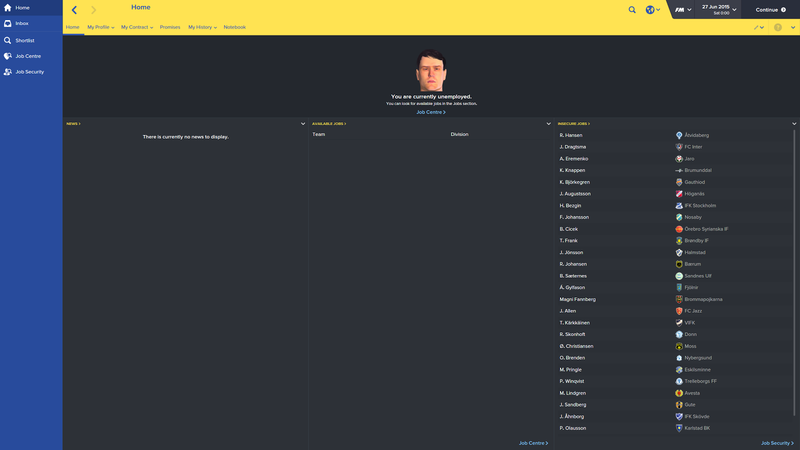 As he has absolutely no experience as a manager, Per has the lowest possible stats to start his career. 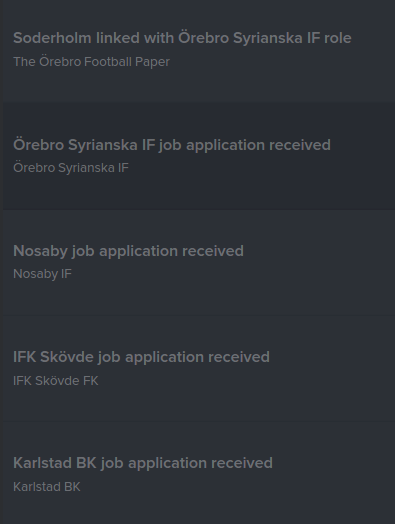 We start our journey by applying to 4 vacant jobs in the Swedish 4th tier, of which is split up into 6 different leagues. The Orebo Football Paper dub me as the leading candidate to fill the manager position at Syrianska IF. Two more positions in the Swedish 4th tier open up, and I don't hesitate to apply. 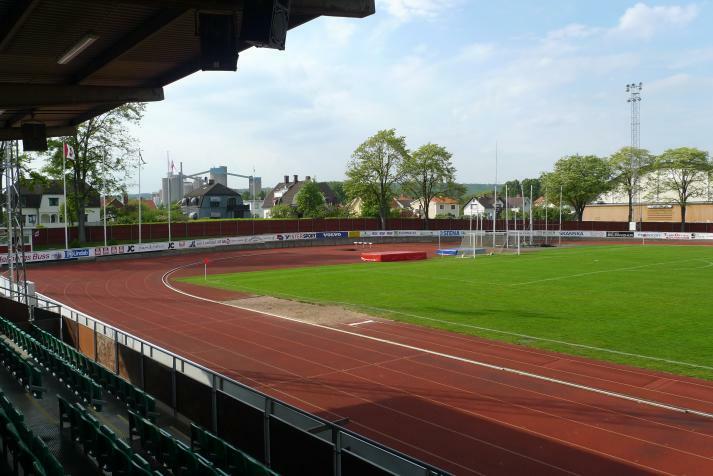 Syrianska offer me my first interview! I believe it went well, I promised to keep the squad harmony up which I think is a big factor at a lower league club like this. 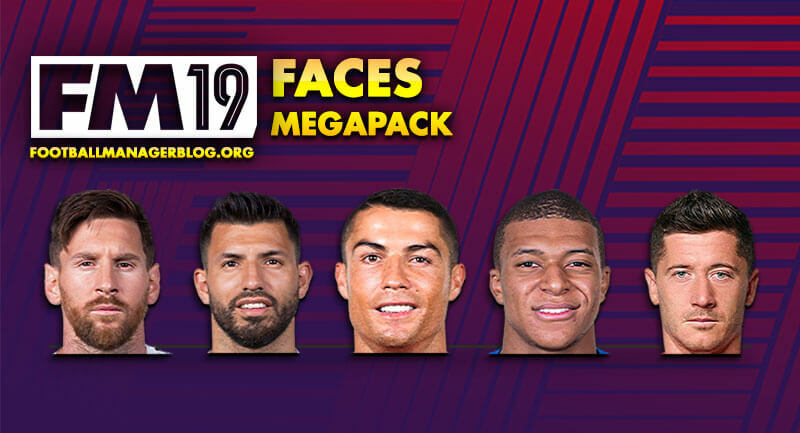 Madness! The struggling clubs in Sweden really want Per as their manager. 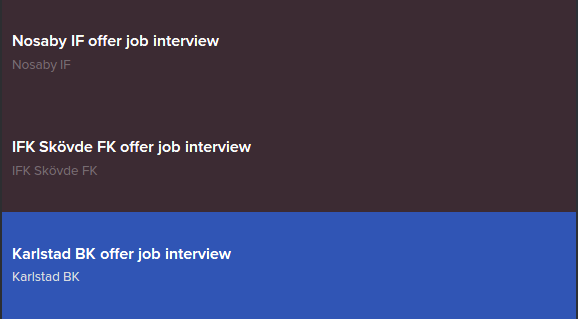 I attend three more interviews, all relatively the same, and they all seem to go well. After the interview process, I am approached by Orebo Syrianska IF and IFK Skovde FK to be their manager. Both at £250 per week wages, and both clubs at the bottom of their respective leagues. Well, what do you know? 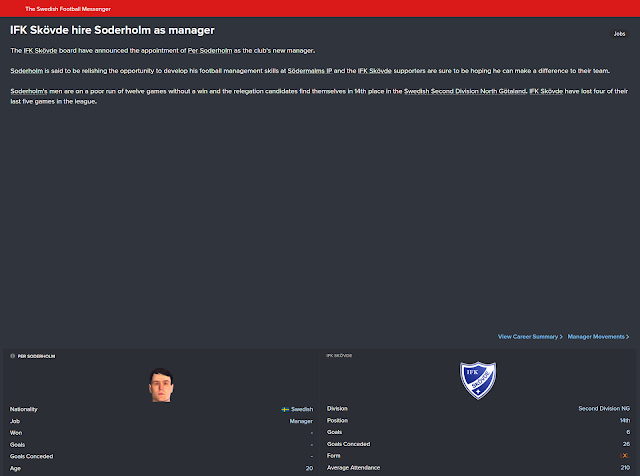 After heavy speculation linking Per with a move to the Orebo-based club, he signs on as manager of IFK Skovde! 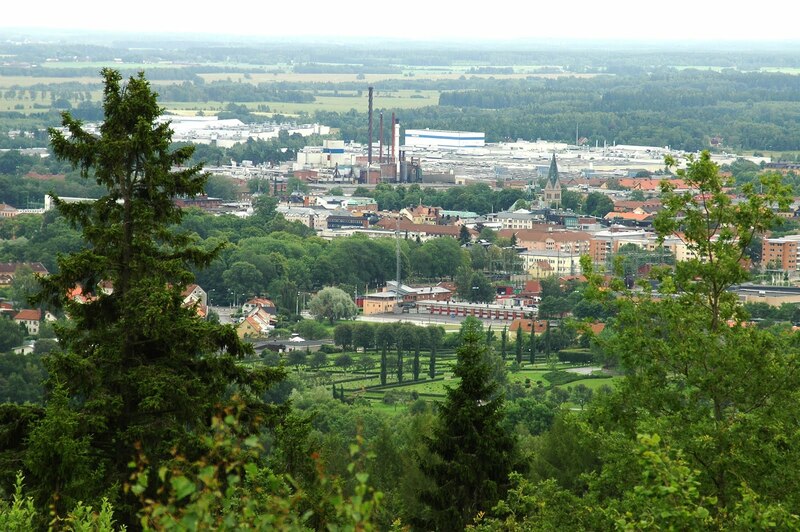 The decision really came down to the fact that Skovde is so close to Per's home of Goteborg, only two hours away, while Orebo is closer to a 4 hour drive. 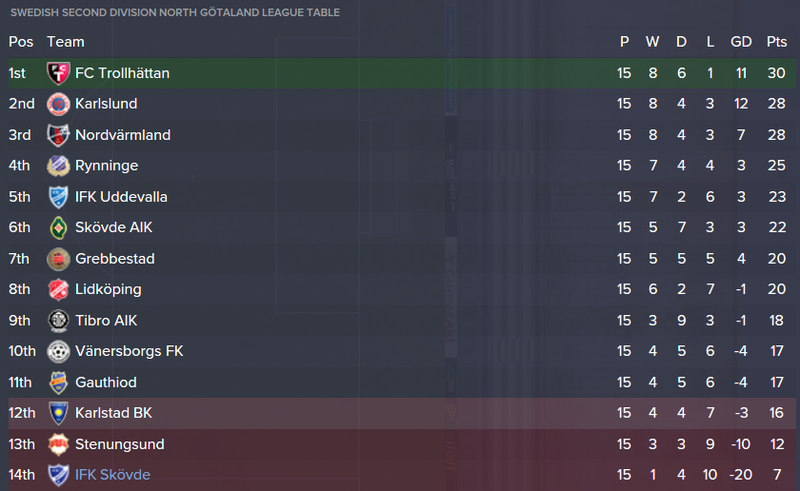 When I join the club, we are dead last in the Swedish Second Division North Gotaland. 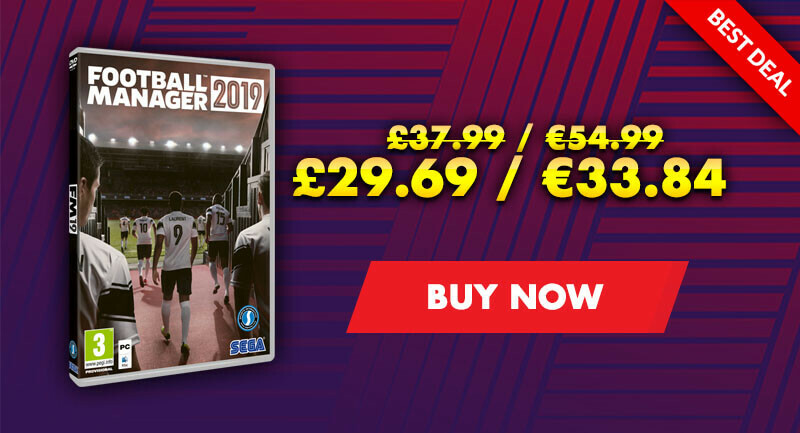 It will be a tall task to see if we can grind out some points to escape relegation, made even tougher by the fact that the season is half over! How will we fare in our first management position? Will Per be able to guide IFK Skovde, a club so close to his home, away from relegation? Stay tuned for The Scandinavian Story: Part 2 to find out how we begin our adventure across the Nordic nations!